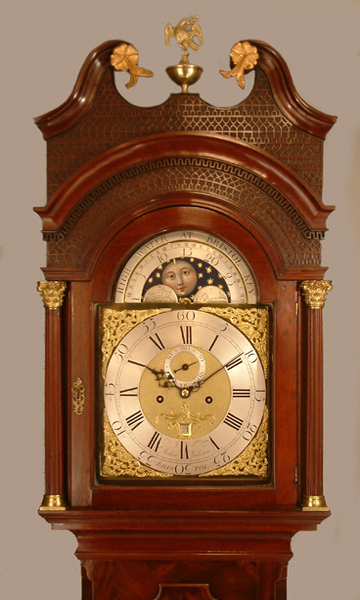 John Walcam of Bristol Mahogany Longcase Circa 1765 - Height 94.5in. This Longcase Mahogany Archive's Maker - John Walcam, Bristol - Recorded 1753. 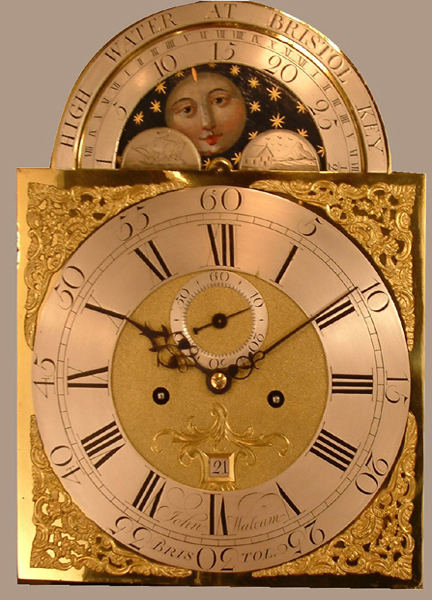 "A distinguished maker of fine clocks." Cuban mahogany case with exceptional figuring and with all the classic Bristol features. 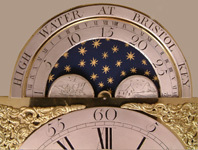 The 12" breakarch brass dial with Moonphase and Highwater at Bristol Key. Seconds and date. 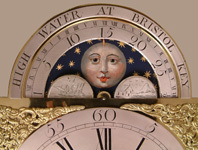 John Walcam, Bristol - Recorded 1753. "A distinguished maker of fine clocks."